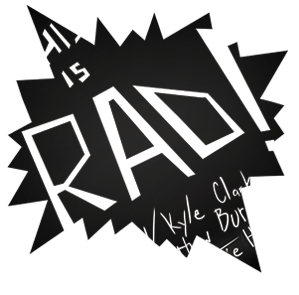 This week on the show Kyle and Matthew welcome Jess McNabb not only to This Is Rad but to the United States. Kyle befriended Jess while up in Canada for the Yukon Comedy Festival earlier this year. Jess is a brilliant stage tech up in the great white north and over the course of the festival we learned that the trio all share a passion for snack food. While on her trip to LA, Jess has been exploring the world of American snack food and comparing it to her homeland. Canada knows a thing or two about snacks and we compare notes to see the pros and cons between our two nations. It’s like a fun cultural exchange program where everybody eats on mic! Plus, learn that Canada’s version of Corn Pops are really different and see how much it disturbs Kyle. This is as SUPER fun episode and a nice break after all the mayhem of Radtober. PS- Next week we will have an update with into about Kyle’s album rehearsal live stream!